​Blending our chemical capabilities with a strong, downstream building products business, Westlake delivers life-enhancing products that benefit lives every day. From our polyethylene that is used daily in food packaging like bread bags, cheese wrapping and milk cartons, to our PVC pipe which is used to deliver clean drinking water or to irrigate fields, to our caustic soda which is used in pulp and paper manufacturing like carton boxes, our products make a difference in the world. With our core value of being a good corporate citizen in our local communities, we are committed to being a leader in sustainable practices and a responsible environmental steward. Westlake’s commitment to corporate social responsibility is formed by the company’s longstanding core values, as presented here. At Westlake, we transform Earth’s basic elements into the building blocks for essential products that benefit society. Through our company values and sustainable practices, we strive to positively impact the well-being of our employees, the communities where we operate, and the people around the world who have come to rely on Westlake to protect and enhance their quality of life every day. Environmental stewardship, safety, and innovation are core values at Westlake. These are exemplified by our manufacturing process and the high quality, long lasting, and low maintenance products that we provide in the marketplace. With a focus on sustainability, our employees are developing new products that offer leading-edge solutions that are socially and environmentally responsible. 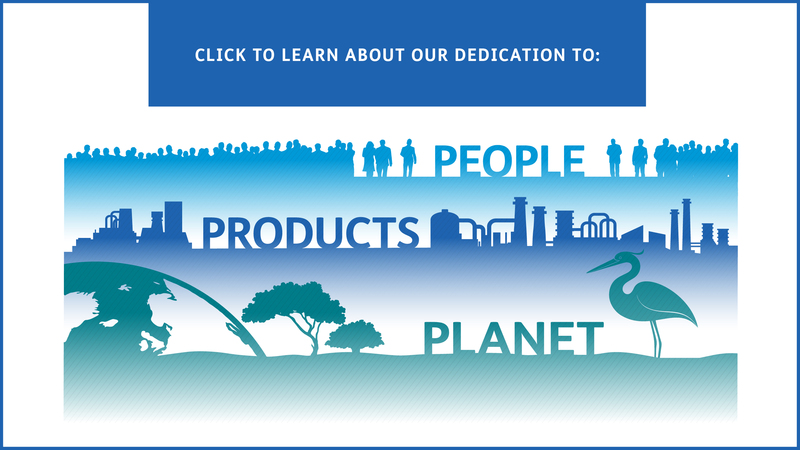 We are dedicated to protecting the world around us and preserving our natural resources and quality of life. Westlake Chemical is a proud member of the Boston College Center for Corporate Citizenship.